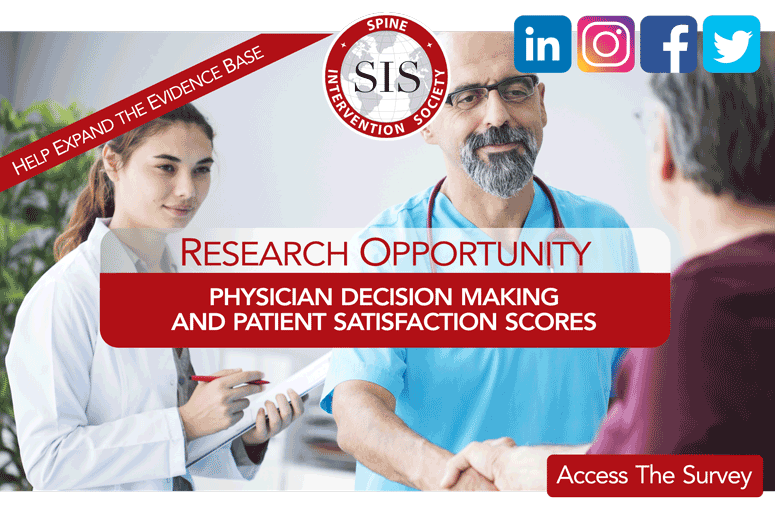 The following survey is designed to explore the hypothesis that patient satisfaction scores are a driving factor in physicians' decisions about whether or not to order diagnostic tests, provide medication, or perform procedures—and how this potential relationship may influence physician satisfaction and burn-out. The results of this study will provide a better understanding as to how patient satisfaction scores may affect physician behavior, positively and/or negatively. No individually identifying information will be collected in the survey. The Spine Intervention Society has reserved the right to either allow or disallow the investigators to identify that Society members were collectively surveyed. The survey is expected to take no more than 5 minutes.